Apartment Bellandur is a notable piece of property that provides cozy rooms within an affordable price range. 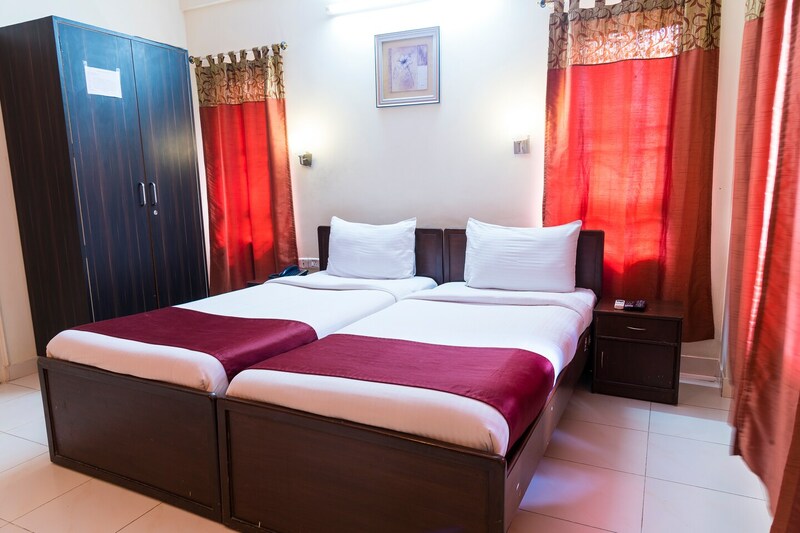 The rooms are decorated beautifully and are provided with large windows. The windows provide fresh air and bright sunlight and are draped with beautiful bright curtains, making the space lively. The hotel also provides parking facilities for travelers with a car. Laundry services can be availed by the guests. An elevator facility is also provided by the hotel for easy commute among the various floors of the hotel. Card payments in all forms are accepted at the hotel.